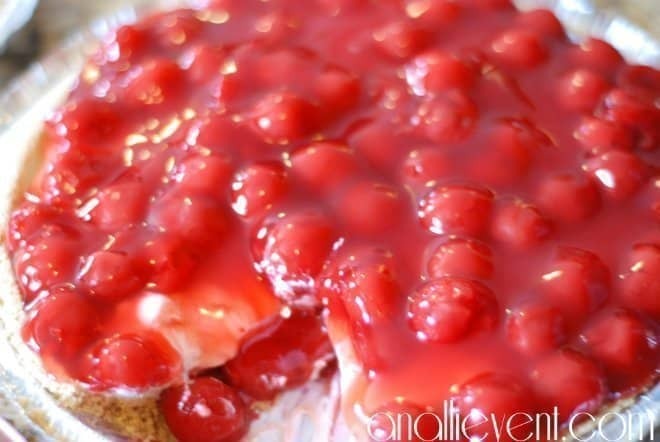 I came up with the recipe for Skinny Strawberry Frosty completely by accident. Don’t ya just love when that happens? I was actually making strawberry smoothies. The frozen strawberries were dumped into the blender and I opened the fridge to grab the almond milk and realized that there was only a little bit in the carton. What to do? What to do? As I was scanning the contents of the fridge, my eyes rested on a bottle of Coffee Mate sugar free french vanilla creamer (the liquid kind). I had a light bulb moment. It’s liquid. It’s sugar free. It’ll work! The finished product turned out to be more like a frosty than a smoothie (meaning it has to be eaten with a spoon). I love it! So, instead of strawberry smoothies, I usually make my new and improved Skinny Strawberry Frosty. And now, you can, too! 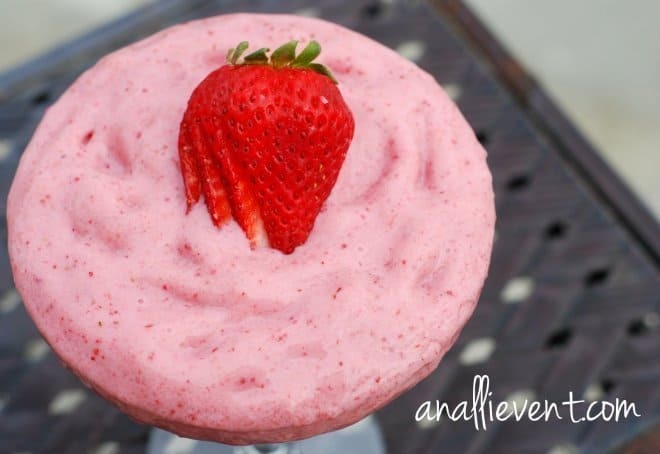 Helpful Hint: This recipe calls for frozen whole strawberries (no sugar added). To make a smoothie, add more almond milk. For an even thicker consistency, add more creamer and less almond milk. And did I mention that it’s very low in calories? The brand of almond milk, etc. that I use comes in under 150 calories. Yum! 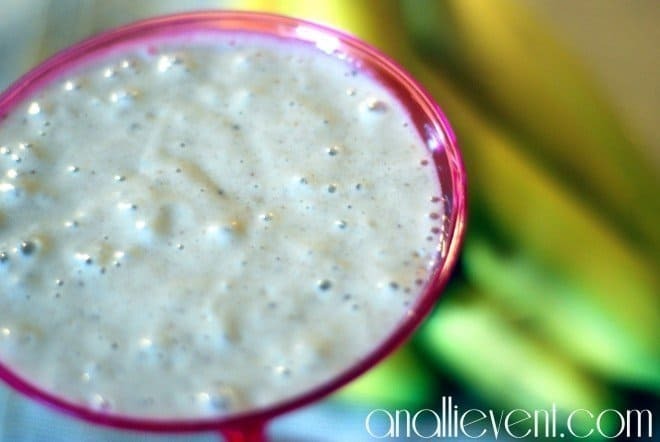 Combine all ingredients in a high powered blender and blend until smooth. Enjoy! Looking for more skinny recipes? This looks wonderful! Do you have any idea of the calorie count for it? Paula@SweetPea recently posted…It’s Our 20th Anniversary! sounds like you stumbled upon something pretty awesome there! Aria recently posted…Wow That Was Fast! Yummm!!! My husband loves Strawberry. I’m definitely showing him this recipe later. 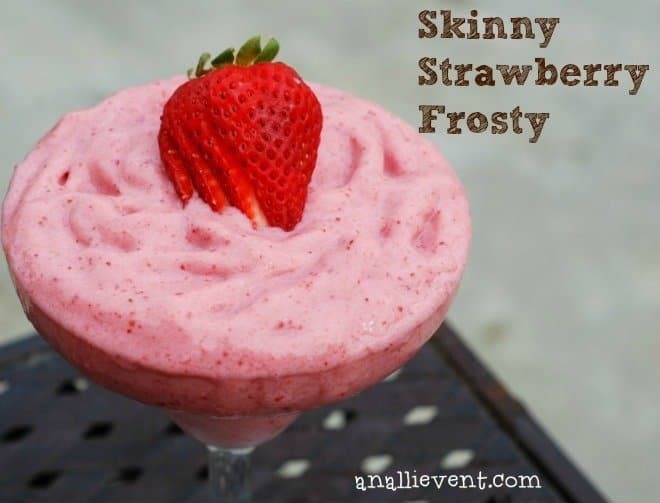 My youngest loves frostys and he loves strawberries – I’ll have to give this one a try! Glad for your “accident”! Amy A recently posted…Arts & Rec: Family Day at Atlanta’s High Museum of Art Giveaway! I usually have this for breakfast, but sometimes I have it for dessert, too. Interesting creamer ingredient! Never would have thought.. Of course my creamer in my house has tons of sugar….Gotta cover up that coffee taste. I’m glad I was almost out of almond milk or I would have never thought to use creamer. It really thickens it up. Oh wow, now this looks really good! I’ll take two please! So good and so, so easy! I am bookmarking this one! I am off to the kitchen to make these. I have all the ingredients. Yeah. Looks good! I like anything strawberry! This looks way better than my green smoothie. Now, that is a good idea, Alli! LOL It IS funny when you start substituting things – my family still swears that the casserole I made a couple Thanksgivings ago was the best one ever – and I had just thrown stuff together when I ran out of the original ingredients and the store was closed! LOL Now I can’t re-create it! Kristen from The Road to Domestication recently posted…New Product Review: Family Finest! Love that you used almond milk. I love adding it to my smoothies! My husband and I would love this. I the Wendy’s Frosty and haven’t had one in years. I know what I’ll order as soon as I get to the states. 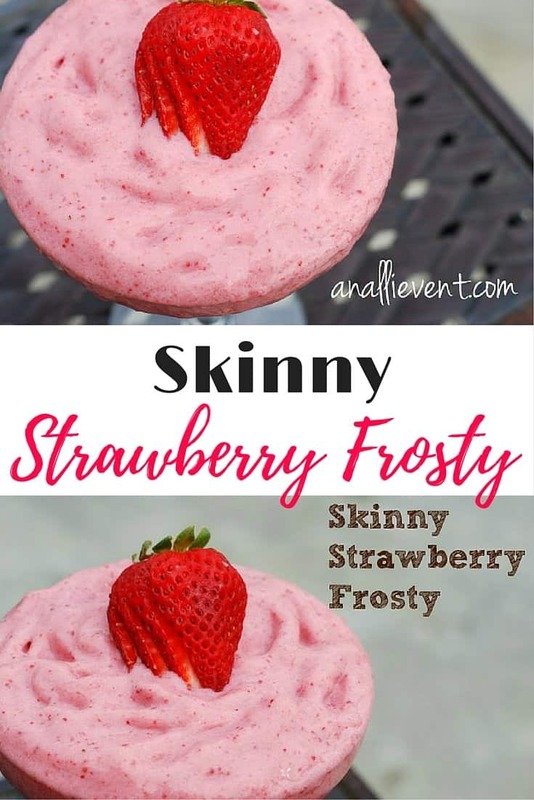 What a name Skinny Strawberry Frosty :). Looks yummy! Can’t wait till our Strawberry ripen! Oh my word! I love it already!!! I can’t wait to try this!!! Artney recently posted…Bondi Band Contest! Skinny !!!!! Yes! Now, I am on the Atkins diet but I think this works for Phase 2 no problemo. PINNED IT on TWO boards so I am sure not to lose track of it. Hey, did you get to share this on WW blog hop? If you did not, stop by now or maybe next Tuesday 7pm EDT (early birds arrive then) to share it ?